Although there were no physicians in his family, Dr. Jerry Nadler remembers always being interested in science and medicine. “Actually, my Uncle Sam influenced me,” he says. “He had what we today call Adult Onset Type 1 Diabetes. Growing up, I saw all the problems he had: heart attack, circulation problems in his leg, all of it. His mind was always sharp, but his body gradually had all of the complications of diabetes.” It made an impression. In college, he got excited about a research project in endocrinology, an interest that became solidified when he went to medical school. His family had moved to Florida, so he chose the Miller School of Medicine at the University of Miami. 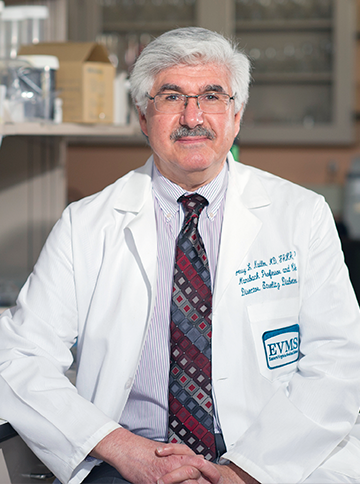 Between his first and second years, he had the opportunity to work with Dr. Daniel Mintz, the founding Scientific Director and Chief Academic Officer of the Diabetes Research Institute. “He was a visionary,” Dr. Nadler remembers. “I was doing islet cell transplants in animal models to reverse diabetes. It was the first time that had been done. That’s when I decided I wanted to go into internal medicine, with a focus on diabetes.” He was hooked on research, he says, a theme that has informed his entire career. He did his internship and residency in internal medicine at Loma Linda University Medical Center, and specialized endocrinology training in research at the University of Southern California. He did extra work at USC, funded by the National Institutes of Health and the American Heart Association. “That’s where I got my dual interest in heart disease and diabetes, and how to reverse diabetes,” he says. 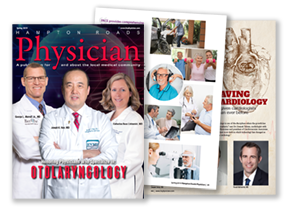 Dr. Nadler stayed on at USC as tenured faculty, but when word came that the City of Hope Medical Center in nearby Duarte was looking for a director to build up its diabetes program, he enthusiastically took the position. “When I got there, there was one nurse, one full-time and one part-time doctor,” he recalls. “It was a real opportunity to focus on research.” Over the next nine years, and with the support of a local philanthropist, the program grew into a major diabetes center, and is today considered one of the most influential diabetes research programs in the world. He’s working on another grant studying the causes of the tremendous increase in heart disease and heart diseases related death among diabetics. Another grant seeks to identify a virus that might be one of the triggers of Type 1 diabetes, which might ultimately lead to the development of a vaccine.